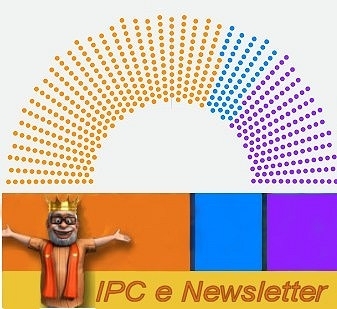 Welcome to the June 2014 edition of the IPC e-newsletter. The IPC e newsletter is distributed free to more than 4000 people around the world. 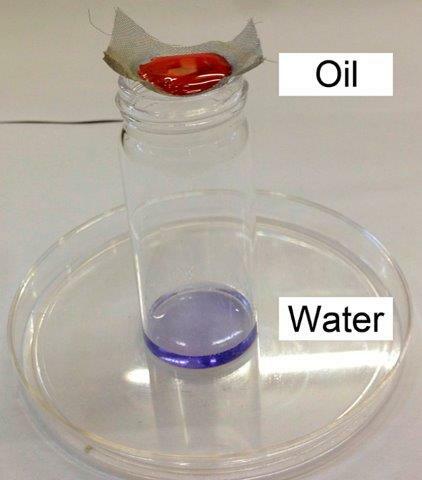 "Ultrafast Oleophobic-Hydrophilic Switching Surfaces for Antifogging, Self-Cleaning, and Oil-Water Separation"
In the wake of recent off-shore oil spills, and with the growing popularity of “fracking” — in which water is used to release oil and gas from shale — there’s a need for easy, quick ways to separate oil and water. Now, scientists have developed coatings that can do just that. Their report on the materials, which also could stop surfaces from getting foggy and dirty, appears in ACS Applied Materials & Interfaces. Please spare a couple of minute to answer some of these question on an online survey. Asian Paints today said it has closed down its oldest plant at Bhandup in Mumbai and all employees of the unit have either taken voluntary retirement or shifted to its some other plants. The Bhandup plant had started production in 1958 and had employee strength of over 100. "The company has discontinued manufacturing activities at the plant with effect from May 5, 2014," Asian Paints said in a filing to the BSE. It further said that the company had offered a voluntary retirement/separation scheme along with an alternate option of relocation to its other factories/establishments to all workmen of the Bhandup plant. "All workmen have accepted either the Voluntary Retirement/Separation Scheme or relocation to another factory/establishment of the company," it added. Nerolac had reported net profit of Rs 122.7 crore in the January-March quarter of 2012-13 fiscal mainly on account of exceptional income of Rs 114 crore. NEW DELHI: Kansai Nerolac PaintsBSE 0.05 % on Wednesday reported 63.4 per cent decline in standalone net profit at Rs 44.9 crore for the fourth quarter ended March 31, 2013-14. The company had reported net profit of Rs 122.7 crore in the January-March quarter of 2012-13 fiscal mainly on account of exceptional income of Rs 114 crore. Net sales during Q4, 2013-14 were at Rs 743.7 crore, an increase of 10.06 per cent as compared to Rs 675.7 crore in the year-ago period, the company said in a BSE filing. Net Loss of Jenson & Nicholson (India) reported to Rs 3.02 crore in the quarter ended March 2014 as against net loss of Rs 3.22 crore during the previous quarter ended March 2013. Sales declined 10.85% to Rs 13.56 crore in the quarter ended March 2014 as against Rs 15.21 crore during the previous quarter ended March 2013. Berger Paints hikes decorative paint prices by 1% The paint maker took the price hike to cover raw material cost increase, says Abhijit Roy, MD, Berger Paints. Kolkata-based Berger Paints has hiked decorative paint prices by a percent. The paint maker took the price hike to cover raw material cost increase, says Abhijit Roy, MD, Berger Paints. He says international monomer prices increased due to supplier plant shutdown. Monomers is used in emulsions for water-based paints. “We do not see major demand pullback due to price hike,” he told CNBC-TV18. Going forward, Berger expects double-digit growth trend to continue led by decorative segment. Berger Paints today reported 26.34% increase in consolidated net profit at Rs 55.34 crore for the fourth quarter ended March 31, 2014. The company had posted consolidated net profit of Rs 43.8 crore during the January-March quarter of last fiscal, 2012-13, Berger Paints said in a filing to the BSE. The company's net sales during Q4, 2013-14 stood at Rs 963.49 crore, an increase of 19.57% as compared to Rs 805.78 crore in the year-ago period. Overall expenses in Q4 stood at Rs 880.79 crore, up 19.60% as compared to Rs 736.4 crore in the corresponding period last year. During FY'14, the company's net profit stood at Rs 249.39 crore, against Rs 218.4 crore in previous financial year. BASF India lost 3.48% to Rs 756.80 at 13:15 IST on BSE after net profit dropped 50.8% to Rs 6.56 crore on 30.3% growth in net sales to Rs 1067.32 crore in Q4 March 2014 over Q4 March 2013. The company announced the results after trading hours on Tuesday, 29 April 2014. On BSE, so far 3,193 shares were traded in the counter as against average daily volume of 9,646 shares in the past one quarter. The stock hit a high of Rs 764 and a low of Rs 751.40 so far during the day. The stock had hit a 52-week low of Rs 490 on 7 August 2013. The stock had hit a record high of Rs 867.40 on 31 March 2014. The stock had underperformed the market over the past one month till 29 April 2014, falling 8.42% compared with the Sensex's 0.56% rise. The scrip, however, outperformed the market in past one quarter, advancing 31.33% as against Sensex's 8.81% rise. Paints and coatings maker Akzo Nobel India on Friday reported a 12.64 per cent decline in net profit at Rs. 54.6 crore for the fourth quarter that ended on March 31, due to a fall in other income. The company had posted a net profit of Rs. 62.5 crore for the corresponding period a year ago, it said in a filing to the BSE. During the quarter under review, net sales stood at Rs. 601.2 crore, up 14.60 per cent from Rs. 524.6 crore a year ago. Other income during the quarter stood at Rs. 22.5 crore as against Rs. 51.1 crore in the corresponding quarter last year. ISLAMABAD, 23 MAY 2014: The Competition Commission of Pakistan (CCP) while conducting a hearing in a show cause notice issued for prima facie violation of Section 10 of the Competition Act, 2010 directed M/s Jotun Pakistan (Pvt) Limited to withdraw all marketing material from the public domain containing the claim ‘No. 1 paint in Pakistan’ within two weeks. The matter was heard by a three member bench of CCP comprising of Dr. Joseph Wilson, Chairman, Mr. Mueen Batlay and Dr. Shehzad Ansar, Members. The global market for powder coating is expected to reach USD 12.48 billion by 2020, according to a new study by Grand View Research, Inc. Growing support for the use of powder coatings in comparison to conventional liquid paints by regulatory agencies such as EPA and REACH on account of negligible VOC emissions is expected to be a key driver for market growth. In addition, growing application demand with regards to automotive, appliances and consumer goods is also expected to drive powder coating sales over the next six years. Consumer goods are the largest application market for powder coatings, with estimated consumption of 437.3 kilo tons in 2013. Automotive and general Industries were the key application markets, with combined powder coating sales expected to reach USD 5.11 billion by 2020. Powder coating demand in furniture was relatively small in 2013 but is expected to witness substantial growth of over 7.6% from 2014 to 2020. MANILA, Philippines – Nippon Paint will be investing P100 million into its Philippine arm, Nippon Paint (Coatings) Philippines, to rake in more sales in the next three years. Nippon Paint Malaysia Group, the owner of Nippon Paint (Coatings) Philippines, is targeting P1.5 billion in sales turnover by 2017. As part of its expansion strategy in the country, Nippon Paint (Coatings) Philippines will deploy its Nippon Colour Creations tinting machines to be housed in paint centers and modern trade outlets nationwide. PITTSBURGH, May 1, 2014 – PPG Industries’ (NYSE:PPG) building products group announced that DURANAR® coatings are being used to paint the 11-story podium portion of One World Trade Center, the 104-story skyscraper that will soon open as the centerpiece of the new World Trade Center complex in New York. How about a side of silver with your yogurt? According to a report by the Project on Emerging Nanotechnologies (PEN), your yogurt—along with 96 other food items, most of which are found in the dairy aisle—contains nano-sized particles of titanium dioxide. And that number is up from just eight foods in 2008. India Imports of TiO2 hiked up by 11% in March 2014 as compared to last month imports. I hope that you and your family are well. Long time no see. How is your business? I have a question, regarding Qualicoat Class 1 approval. For polyester-TGIC powder coating the gloss should not be less than 50% after 1000 hours Xenon Arc exposure.I want to know if a powder based on a standard polyester-TGIC resin will pass this test (approximately equivalent to 1year Florida). Or do we need another type of polyester resin for class1 or no? My pleasure will be hearing from you. All is well here. We celebrated our oldest daughter's birthday today. It was a wonderful day. I hope you and your family are well. And my business is doing well – we continue to grow each year. A standard grade TGIC-polyester will meet the Qualicoat Class 1 specification. It is important to confirm mortar and sulfuric acid resistance performance and to select your polyester resin from a reputable resin supplier. In addition it is wise to make sure that the pigments and additives are weather resistant. Some waxes are not UV durable. In addition many organic pigments will fade from one year Florida exposure. So choose you additives and pigments wisely. What is the best way to measure weatherability and cheapest way?QUV,Xenon Arc or Solarbox?I want to get machine for my laboratory.What is your suggestion? The very best way to ascertain resistance to outdoor conditions is natural exposure (this is expensive and takes years). Second best weathering simulation technique is exposure to concentrated sunlight through the use of solar reflectors and water mist and is commonly known as EMMAQUA or equatorial mount with mirrors for acceleration and water (ASTM D4141). This technique utilizes real solar energy but because the energy is concentrated by mirrors the duration is significantly reduced. ASTM D4141 testing requires the careful measurement of UV light exposed to. The amount measured is then compared to historical data of Florida exposure and correlated to the number of months of typical exposure. This is also very expensive. Next best technique is Xenon Arc Weatherometer (ASTM D-6695). For artificial tests the wavelengths of xenon arc emission best simulate sunlight. These cabinets are relatively expensive to buy and costly to operate. Next in relevance is QUV (ASTM D-4587). This is tried and true, but not as representative of sunlight as the tests described above. I would use 340-A lamps as the shorter wavelengths (B-313) are selectively too damaging to polyester resin backbones. QUV cabinets are much less expensive than Xenon Arc units. I bought a used one for less than $2000. New ones cost around $10,000 to $12,000. You may want to consider building a rack and exposing test panels at your own facility as well. Stuttgart/Hannover. More and more parts are being coated to give them special functional or decorative properties. Surface quality requirements are also rising, not only for coating but also for other processes, such as laser welding or glue bonding. “The purpose of parts and surface cleaning is to ensure the cleanliness necessary for coating and joining processes. The exhibitors at this year’s edition of parts2clean are presenting a broader range of solutions than ever before,” says Olaf Daebler, the Deutsche Messe director in charge of the leading trade fair for industrial parts and surface cleaning. O&S, the international trade fair for surfaces and coatings, runs in parallel with parts2clean this year at the Stuttgart exhibition center from 24 to 26 June. parts2clean offers solutions for both particle and film measuring tasks. Bath monitoring and maintenance are important for process stability, in particular with aqueous media. In this area new and refined devices, for example for continuous concentration measurement in liquids, are being presented. Innovations for corrosion protection, conservation and packaging are also on exhibit at parts2clean. We would appreciate receiving a proof copy or link to your publication. Is this email not displaying properly? CLICK HERE to view in browser. HOTEL GROUP RATE ENDS JUNE 2ND! Advertise / Sponsor / Exhibit! Copyright © 2014 The Powder Coating Institute, All rights reserved. 1. Problem/Fault: Coat too thin/impossible to increase thickness. • Check resistance between different support/objects on conveyer, ideal film reading is 0 ohm. • Check earth connection from conveyer and outward. • Check spraying equipment fuses, voltage, electrodes in gun mouth, all electrical connections to high tension cable. • Check powder by using another powder spray gun. 2. Problem/Fault: Thin or no coat at support hooks. • Problem is due to poor earth connection and should be investigated. • Also check earthing and powder level in feed hopper. 3. Problem/Fault: Poor flow /orange peel effect. • Adjust spray gun equipment parameters for uniform powder out put, to get recommended film thickness. • Use fastest possible heating cycle in oven. • Check optimum distance between object and gun mouth. 4. Problem/Fault: Different powder outputs from guns. • Different hose lengths between powders feed and gun. • Air pressure too low. • Ejector fault or partial blocking of ejector hose or gun. 5. Problem/Fault: Yellow or brown spots or stripes on the final coat. • Residues of cleaning agent. • Check that compressed air is free of water and oil. • Check that all thermostats are working properly. • Check metal temperature using temperature recorder. 7. Problem/Fault: No powder from gun. • Check compressed air & fluidisation pressure. • Blow through pneumatic system with air gun. 8. Problem/Fault: Particles/dirt in powder coat film. • Check that product is completely clean before coating. • Prevent dust from entering spray booth. • Sieve powder and examine if contamination, residue in sieve. 9. Problem/Fault: Craters full depth. • Check whether water-based paint has been used nearby. • Check whether there is silicon in any materials/lubricants etc. Often used when welding. Usually indicate contamination of the powder, though may also indicate contamination of the object. • Check that powder is free of craters when using another spray gun or by melting powder on a plate. • Test the powder coat on other objects. 11. Problem/Fault: Poor Adhesion and Mechanical Test performance. • Ensure cleaning / Pre-treatment is proper. • Check if Under curing is taking place. • Check if substrate thickness or type is changed. • Ensure powder film thickness is proper. Dr. J. J. Irani, Chairman of Kansai Nerolac Paints Ltd and an Independent Director on the Board, has informed the Company that he does not wish to offer himself for re-election as an Independent Director at the forthcoming Annual General Meeting of the Company to be held on June 20, 2014 in Mumbai, when he retires by rotation at the AGM. It was nice meeting Atul Joshi from Berger Paints while on his visit to Indore. Atul visited India Powder Coating and discussed about his activities and the developments in the company. Berger has designed and positioned it's product in the Indian continent as a quality supplier of international standards. He is a regular reader of the IPC e newsletter . He also mentioned, "Berger's new plant at Pune is scheduled to be operational by July "